After my diving internship at Oceans 5 Dive I got hooked up at Hawaiian Surf Adventures. The perfect mix of everything I like. Learn new skills, generate ideas and get to know new people. 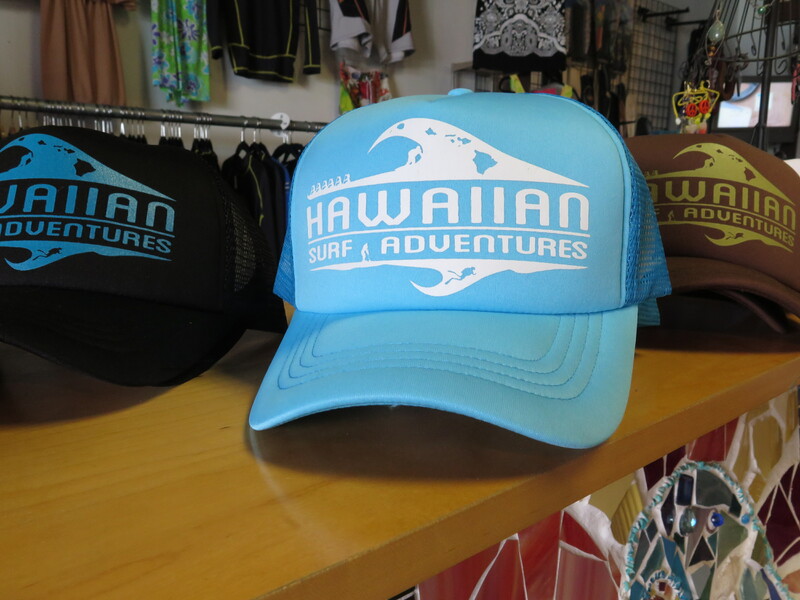 The name of their brand is ‘Hawaiian Surf Adventures’. 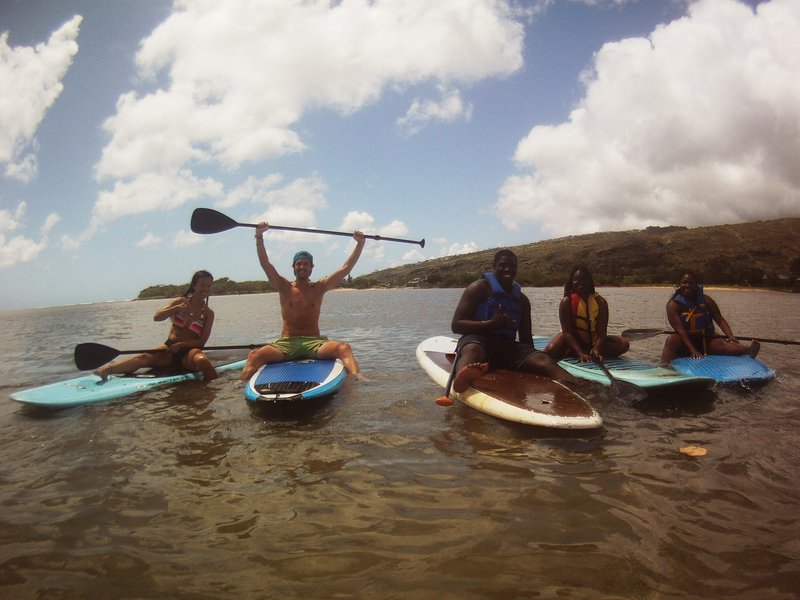 They started as a surf school but now they are organizing more tours, such as ‘Stand Up Paddle’, ‘Canoe Tour’ and very soon a new thrill ride with a ‘Navy Seal RIB-boat’. That doesn’t really fit with their original name. So I started thinking and wrote down some new names. While I was sitting in their shop I saw one of the hats they sell. Suddenly I saw a solution. You can see the icon of a guy standing between ‘surf’ and ‘adventures’. You can interpret that as an ‘&’-sign. Their new name will then be ‘Hawaiian Surf & Adventures’. An umbrella for all their tours. It gives perspective and possibilities for future tours as well. Plus you can still keep your logo/merchandise/artwork. Simple, but effective. They loved it so much that they bought the URL and started to use this name in their different forms of communication. I said I was honest so I told them that their logo could use an upgrade. One of my former colleagues from LEMZ is typography/design talent Daan Kars. I asked him if he could help us out. Daan offered to make a new logo for free! I wrote a briefing and discussed it with Daan. It’s still in progress but here is one of the logo’s he came up with. Thanks a lot dude! As Lisa said when I arrived at the office: “You should do all of our tours to know what we are all about.”. Well, I did. I could never imagine that I would be surfing, stand up paddling and canoeing as part of my job. 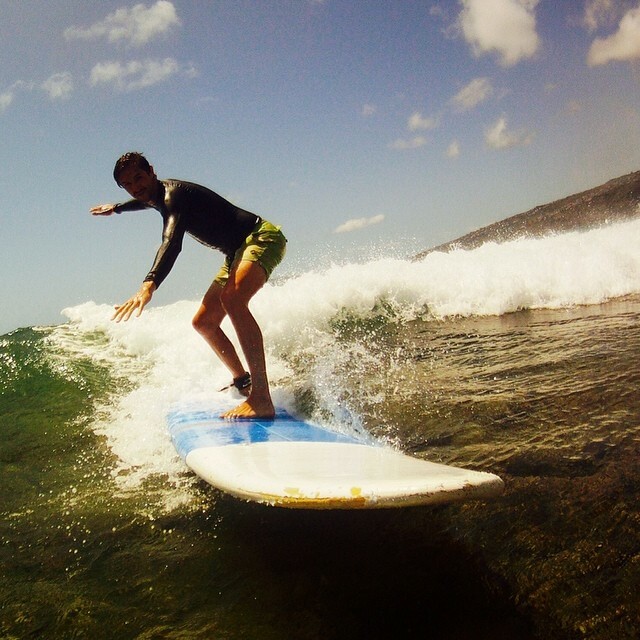 Surfing was what I expected: addictive and awesome. The teachers helped us rookies out to get some neat first waves. The best way to tell you guys about my first impression of Stand Up Paddling is by watching these 4 seconds on YouTube. But after trying it by myself it’s actually pretty cool. And a good workout. Okay, for once then. It’s just not my thing. I prefer surfing waves, or the interwebz. Tour number three is their top-selling adventure. For a reason. 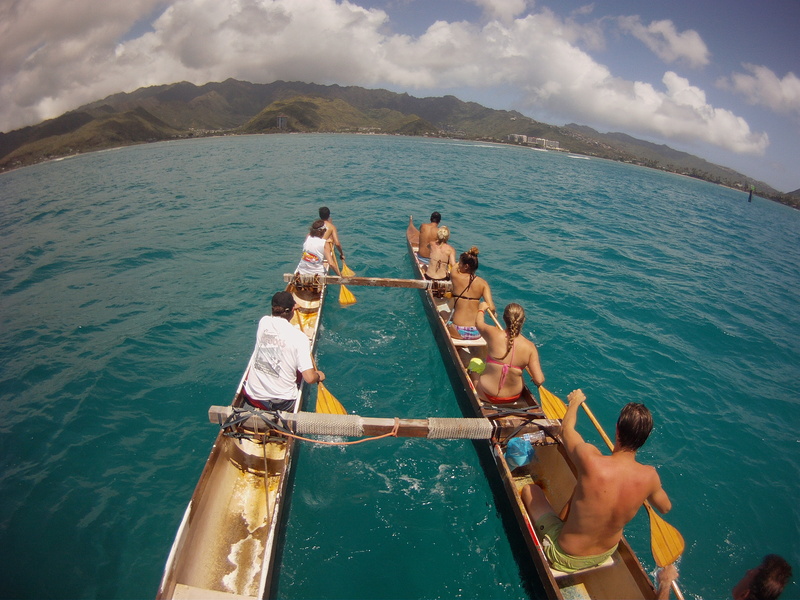 During the Double-hull Hawaiian Canoe tour, we learned how to work as a team to get the canoe in full-speed. The tour guide, Nobie, a 12th generation Hawaiian boat builder, is a walking (or floating) encyclopaedia. He knows all about the islands history, geology, culture and happens to make good jokes as well. On my last day Trace invited me to experience their upcoming tour. A thrill ride with a Navy Seal RIB-boat. This baby just owns the waves. 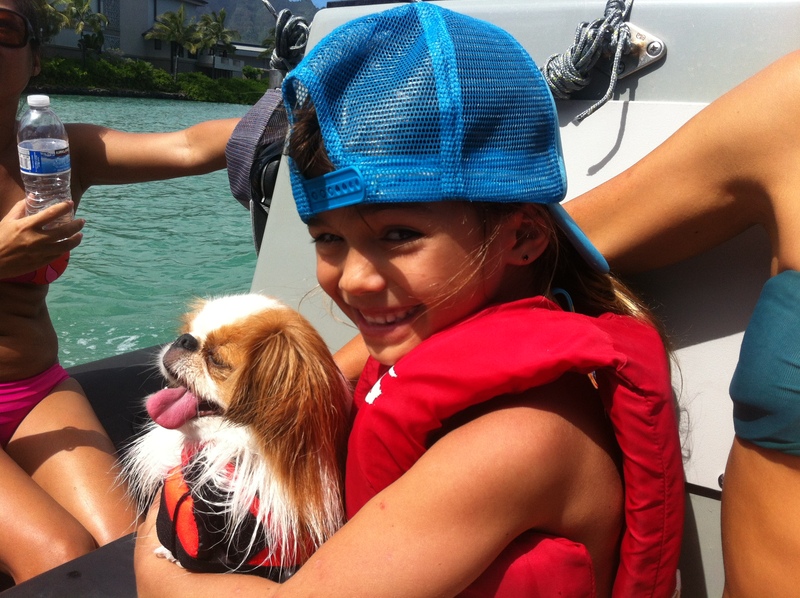 It’s safe for kids and dogs as well. As you can see on the picture below. We all survived. (note: this is the ‘before’-picture). On my last day they gave me a goodie bag with some Hawaiian sweetness and this gift card. 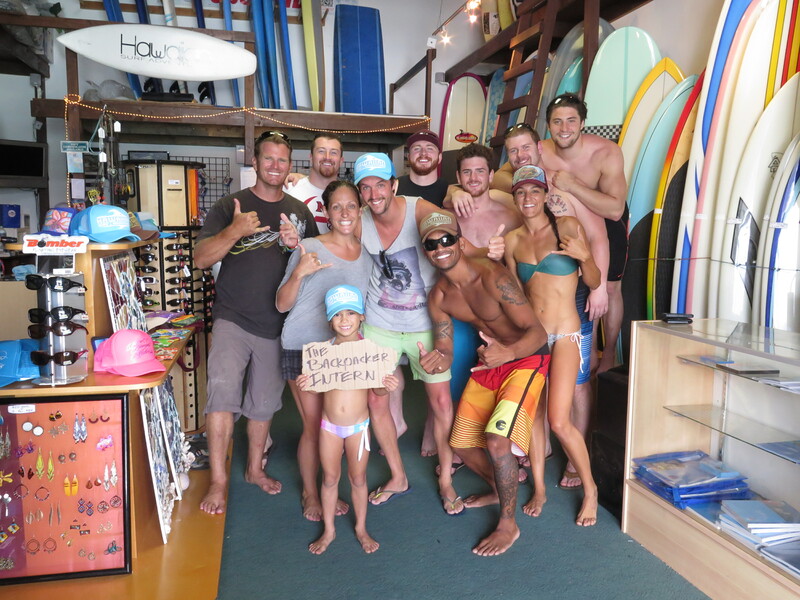 Lisa, Trace and the whole Hawaiian Surf & Adventures crew, thanks for this great experience. Mahalo!